Graham - you are a rhododendron. You are short, pink, and fat (makes you sound more like a piglet). You are one of the newest rhododendrons in my garden, and already (early in spring) you've flowered beautifully for me. But dare I mention a small, delicate matter - your name? It seems - well - rather short. 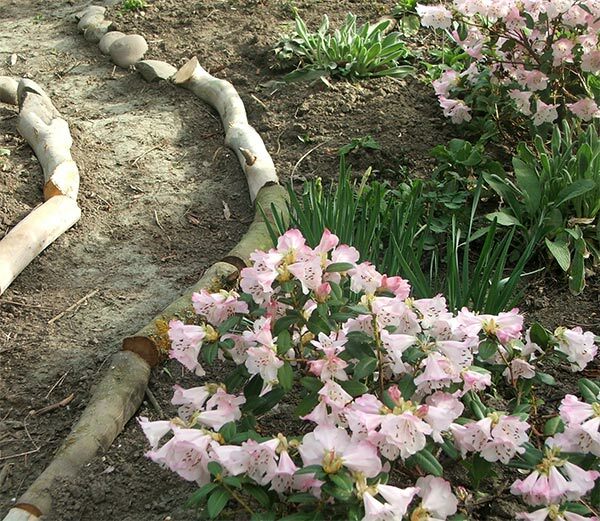 In this garden rhododendrons usually have proper names, like Percy Wiseman, and Virginia Richards. The roses even go a step further, with titles in front of their names - from Duchess to the humble Mrs. I'm left with the puzzle of your descent - Graham Who? 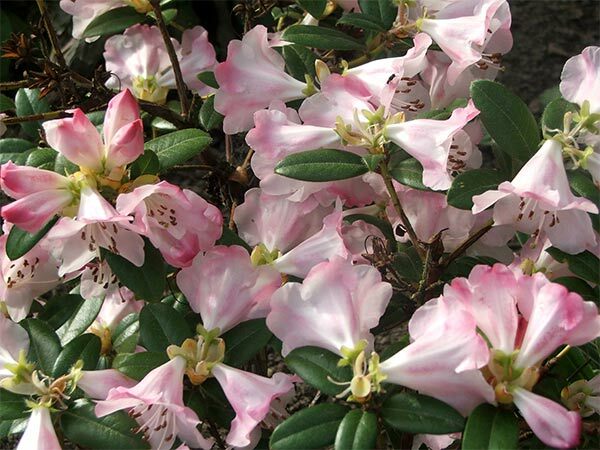 There may be rhododendrons growing in Graham County, USA, and there definitely some famous gardening Grahams - the most famous of all even has three names. Oh well - famous nurserymen probably don't want to be known as short, and pink, and fat! Well, I thought I'd chosen the perfect position. Not too much of anything, in reach of the big irrigation for summer's heat, organic mulch, compost, nothing alkaline, enough light, and so on, and so on. But, alas, both my Grahams have kicked the gardening bucket. Sorry about that.